PHUKET: The recent announcement that the government will allow hemp to be grown in six northern provinces is another welcome sign of fledgling drug law reform in the Kingdom. 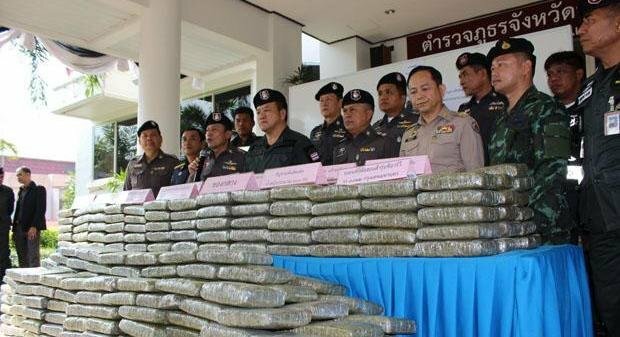 The Bangkok Post reported that Office of the Narcotics Control Board (ONCB) Secretary-General Sirinya Sitdhichai said the proposal was “part of a policy to relax the laws on narcotics so that three types of plants and methamphetamine can be used for medical purposes”. Furthermore, Justice Minister Paiboon Koomchaya recently said the government planned to take into account the “public health dimension” in its effort to curb the use of ya bah (methamphetamine). This change of tact in Thailand’s previously hard-line, zero-tolerance approach to illicit drugs comes on the back of growing international recognition of the failure of the “war on drugs” approach that many countries, strongly influenced by US policy-makers, have taken to tackle the drug market. An ever-growing mountain of evidence suggests that treating drug use as a criminal problem does nothing to curb drug use, it merely turns drug users into criminals, filling jail systems with non-violent prisoners convicted of minor drug offences. In 2015 in Thailand, of the prison population of 325,361 inmates, 230,074 (70.7%) were imprisoned on drug-related offences. Consider the cost to the country of incarcerating this many people and imagine if the same amount of money was spent on harm reduction, drug education and addiction treatment. De-criminalising drug use is an important step in removing its social stigma and making it easier for drug users to access treatment. The full legalisation of soft drugs such as marijuana and kratom, which have been used for centuries with low levels of negative health-effects, would combat the drug issue in two ways. Firstly, it frees up government resources to focus improving public health outcomes for drug users and secondly it can be a significant source of tax revenue with which to fund such harm reduction measures. It is refreshing to see major government figures such as ONCB Sec-Gen Sirinya and Justice Minister Paiboon championing these reforms. From a purely scientific point of view, changes in policy like these are a no-brainer, but they continue to be politically costly for those who espouse them. Let’s hope that these initiatives continue to gather momentum and result in meaningful drug law reforms that reduce the negative social effects of drug addiction.